A O Smith is a public organization in Wilkinson. The organization specializes in manufacturing water boilers and heaters that can be used both at residential and commercial places. 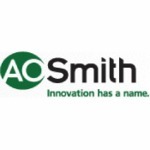 A. O Smith is regarded as largest marketer and manufacturer of water heaters and boilers in North America. The company also supplies different water treatment tools in South and East Asian market. Arthur. O. Smith is the founder father of this organization who initiated the original foundation in the year 1904. Paul. W. Jones and Ajita J Rajendra are respected CEO and COO of the organization. At present, approximately 10,600 full time employees work in this organization. There are currently 0 consumer reviews about A O Smith Corporation available. Share your review. Please take a note that you are about to post a public review about A O Smith Corporation corporate office on CorporateOffice.com. This review will be public, so please do not post any of your personal information on this website. If you would like to contact the corporate offices of A O Smith Corporation, please use their contact information such as their phone number, website, and address listed above to contact them. However, sometimes staff from A O Smith Corporation headquarters do read the reviews on this website.